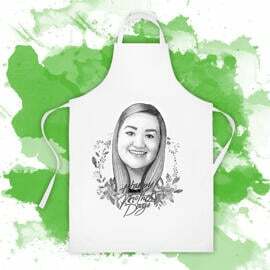 Get a unique apron with printed pencils caricature drawing which will be drawn from photo in colored pencils style. Send us photo and we will create a beautiful custom drawing either of your mother or aunt in caricature style, which she will adore. 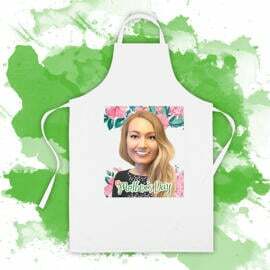 Plain White Apron will be delivered within 10-15 days by post. 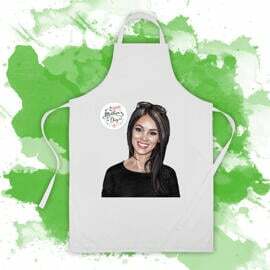 Your photo apron will be made of white polyester fabric which is easy to wash. 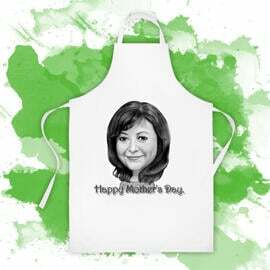 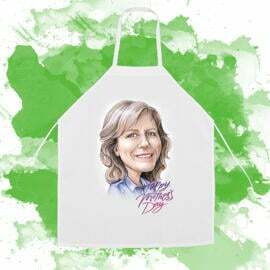 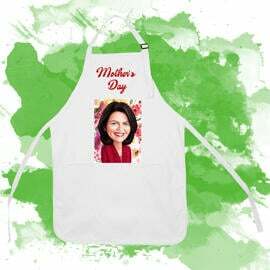 Such a cute and personalized apron is perfectly suited for any woman. 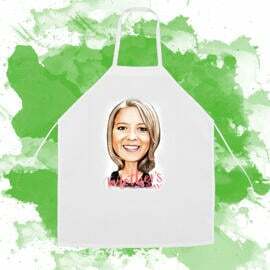 It s made in one size and suited for crafting, painting or cooking. Besides, you will get a digital JPEG file on Email for your approval and as a bonus.